Research Journal of Pharmacology and Pharmacy (ISSN:2572-8377), a peer reviewed open access journal publishing research manuscripts, review articles, case reports, editorials, letters to the editor in the area of Pharmacology and Pharmacy. Associate Professor & Head, Center for Research in Ethno & Medicobotany, Dr. R.M.L. Degree College (C.S.J.M. UNIVERSITY )Allipur, HARDOI 241001 INDIA. Professor& Director of Student’ Affairs, The University of Bamenda; Department of Pharmacotoxicology and Pharmacokinetics, Faculty of Medicine and Biomedical Sciences, University of Yaoundé 1, Cameroon. 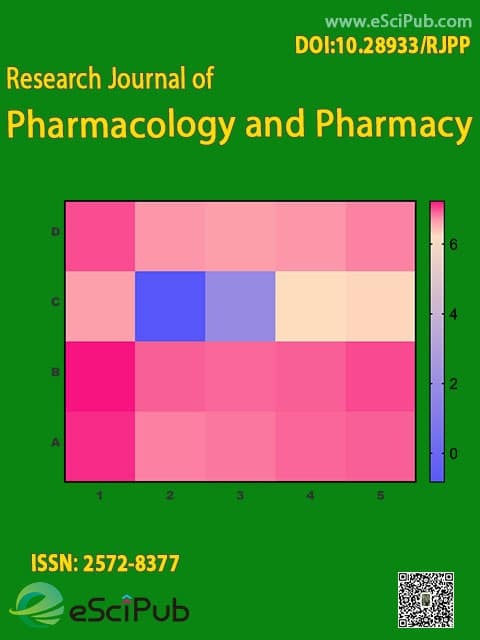 Research Journal of Pharmacology and Pharmacy (ISSN:2572-8377) is a peer reviewed open access journal publishing research manuscripts, review articles, case reports, editorials, letters to the editor in the area of Pharmacology and Pharmacy. Research Journal of Pharmacology and Pharmacy is a peer reviewed open access journal publishing research manuscripts, review articles, editorials, letters to the editor in the area of Pharmacology and Pharmacy. Articles of Research Journal of Pharmacology and Pharmacy (ISSN:2572-8377), a peer reviewed open access journal publishing research manuscripts, review articles, case reports, editorials, letters to the editor in the area of Pharmacology and Pharmacy. The Fanzine Magazine Issue as a Resource in Occupational Therapy Social: the Experience in a Prison System Unit of Maceió, Al. Everybody Has a Family: What About the Homeless Adolescents? Research Journal of Pharmacology and Pharmacy (ISSN:2572-8377) aims to support open access initiative. You can submit your manuscript by following system or through submit_manuscript@escipub.com as an email attachment.